With the Big Oscars Quiz Thing coming in a scant ten days, I felt it incumbent upon me to poke you all with the Sword of Blogginess (I think that's a Lord of the Rings artifact, or maybe the item that the Academy Awards figurine is holding in its hands), following our earlier previews (here and here). 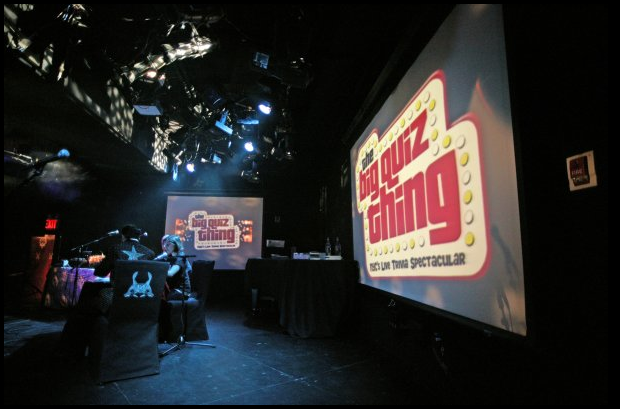 We do the thing Sunday, May 2, at the fantabuloso Le Poisson Rouge, for a 6pm live team-trivia spectacular, followed by a deluxe screening of the full Oscars ceremony, punctuated by cocktail-hour-style roving trivia. All for NYC's best live trivia prize haul, including copious passes from On Location Tours, plentiful theater tickets, Thumbs Cookies, DVDs, books, and more. As with last year, this show will probably sell out, so don't delay on snatching up those tickets. Q: Who’s the only person named Oscar to ever win an Oscar—he won twice, for Best Original Song, in the 1940s? Q: 1969: Appropriately, the only year when the Best Picture was X-rated. What was that salacious (and NYC-set) picture? Q: Who was the only regular cast member on Cheers who went on to be nominated for an Oscar (twice, in fact)? Q: He was an English-born American comedian. His real first name was Leslie. He lived to be 100. And he hosted the Oscars more times than anyone else. Who? Q: In 1977, when Peter Finch won Best Actor for Network, why was he unable to attend the ceremony? Q: In the 1980s, three winners of the Best Picture Oscar had a three-word title with the word of in the middle: BLANK of BLANK. Name any two (here, here, and here). Eager for more? 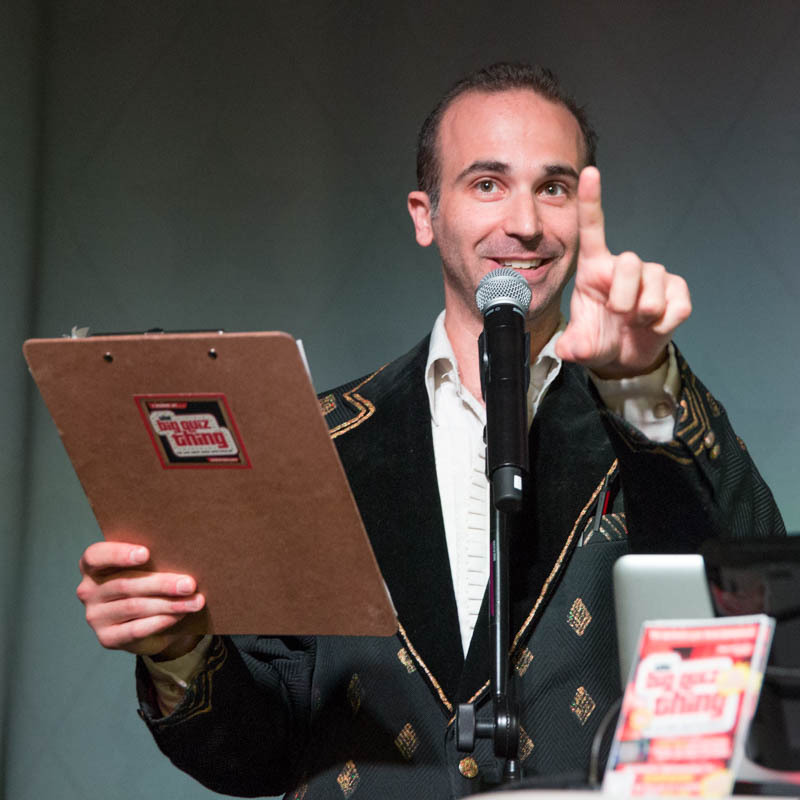 We shall provide: NYC's only Oscars trivia game show (and deluxe screening) is at Le Poisson Rouge, Sunday, March 2. Tickets! Tickets! Tickets!